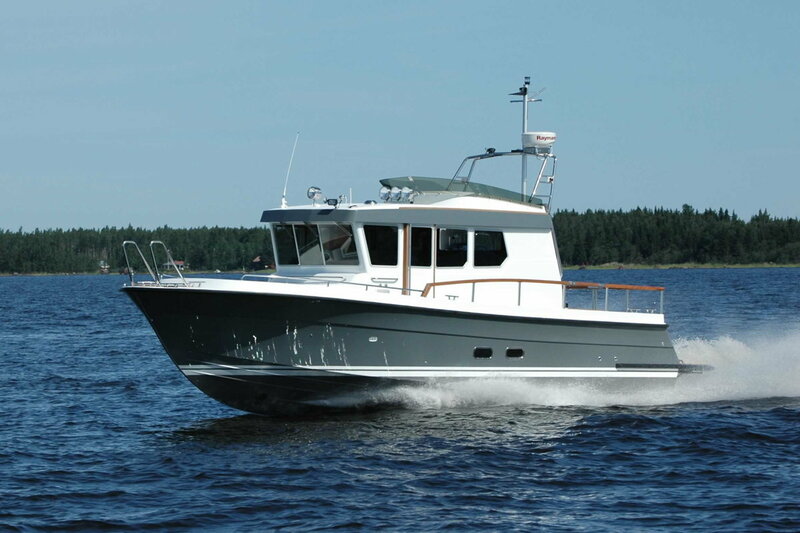 In June 2011 the first boat of the all new Targa 32 model was test driven with great success in Malax, Finland! The 32 model will replace the very popular Targa 31 which has been one of Botnia Marin’s best sellers during many years. Targa 32 has got the same look and layout as many other models from the Targa range – but with some distinctive design features unique to the Targa 32. The major structural differences can be found in the larger fore cabin and in the much more spacious toilet in the aft cabin. The test drive was very successful and the boat proved to be stable, fast and sea-worthy – with a powerful presence. The official launch of the new model will take place at floating boat shows during the autumn of 2011. Please check the boat show calendar to see where and when the new model will be shown. Fuel consumption (2×260 HP) approx. 2,3 L/N.M.